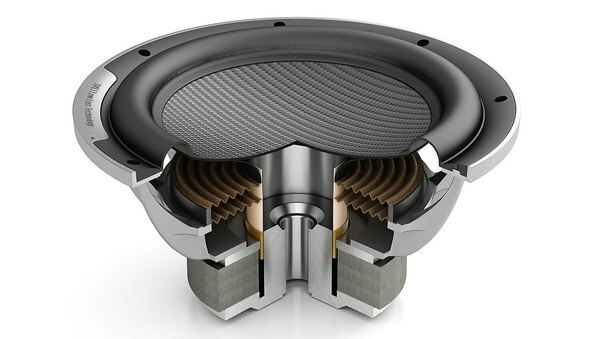 This calculator is intended to help you determine the reference efficiency of any loudspeaker. 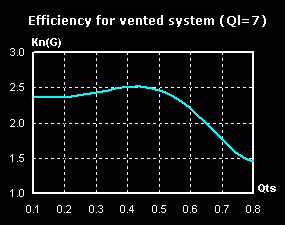 The efficiency of a system is defined as the ratio between the useful delivered power output divided by the input power, denoted by the Greek letter small eta (η). It has to be destinguished between the electrical power Pe of the amplifier and the emitted sound power of the speaker Pak. 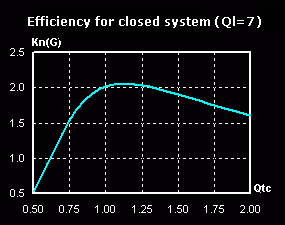 The value of Kn (G) depends on the overall quality of sealed enclosures Qtc of the system and bass reflex enclosures depends on the total losses and the total Q Ql Qts of the chassis in open air. The whole thing is of course (like all other TSP) only in the area of piston-diaphragm movement, that is usually only in the lower frequency range. If the ratio of Qm / Qe of 10:1, 5:1 or 2:1, this value at 0.41, 0.79 and 1.76 dB will be reduced! In closed boxes, this value is at a ratio of Vab / Vb ratio of 10:1, 5:1 or 2:1, this value is further reduced to 0.41, 0.79 and 1.76 dB! With the above specifications the maximum possible sound pressure level in the lower frequency range from 1 watt input at 1 meter distance for radiation into half space.